3 p.m. to dusk; potluck picnic begins 4:30 p.m.
We’re experiencing really hot temperatures this week, so spend a summer evening with your family, friends and neighbors at the Sammamish Valley Grange Picnic, Saturday, July 28th and cool off under the tress and the shade in the Grange Heritage Garden. Celebrate the summer harvest and share in the camaraderie at this annual community potluck. You’ll enjoy the ambience of the Valley farmland and be surrounded and inspired in this historical setting. The Heritage Garden and Sammamish Valley Trail gate will be open at 3 p.m. with potluck beginning at 4:30 p.m. There is no charge to attend these events, but an RSVP is requested. For more information or to RSVP, please contact Tom Quigley, Grange Master, at tlquigley@msn.com, or call 206-850-2643. 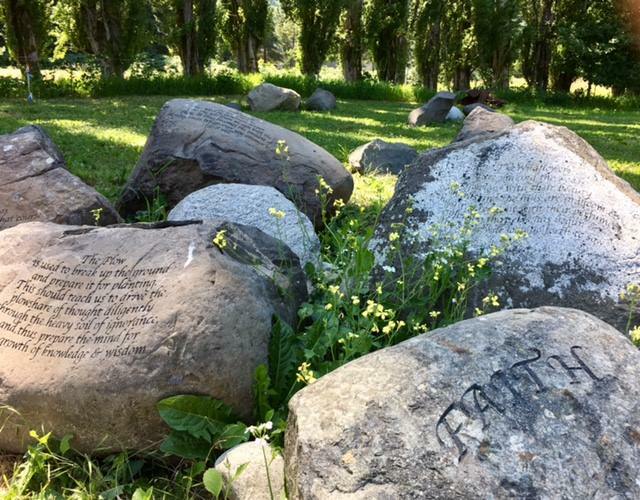 We encourage you to walk, bike or come via horse to the Heritage Garden along the Sammamish Valley Trail, approximately a half-mile south of Wilmot Park. If you’re driving, access the Garden via the farm road (adjacent to Classic Nursery) at 16215 140th Pl NE, Woodinville, WA 98072. Join us for a peaceful summer evening and learn about Grange programs and initiatives. The monthly Community Program Series begins again on Wednesday, September 5th. By working to improve the rural nature of the Sammamish Valley, the Grange shares its mission through educational outreach and neighborly engagement.